Children run barefoot without a care in their lives through the roads and tracks in Lugareño, a small town in Camagüey Province, one of the largest territories in Central Cuba. A striking feature of the town is the close relationship of its residents with Nature. Coming into town, the traveler finds a scene that seems taken out of an old postcard, devoid of modernity and technology, a kind of return to the roots of the earth. The typical houses made of wood and tiled roofs with high ceilings reveal the characteristics of the place. This does not mean that it’s an isolated town oblivious to progress. However, all you have to do is take a quick glance and you are convinced that natural life predominates over urban life. Carts and tractors travel up and down the streets, revealing the agricultural environment. Farming is Lugareño’s principal occupation and being a rural town, the people are devoted to a life of cultivating the soil and raising livestock. The life here is simple and quiet. The people never seem to be in a hurry and lead a relaxed life in harmony with Nature. They rise very early and begin the day feeding animals, plowing and planting, tending crops. The birth of a calf or shoeing a horse is of prime interest here. Time goes slowly and the air cleans the lungs. Protecting its animal life and landscape, its plants and trees, are of major importance. 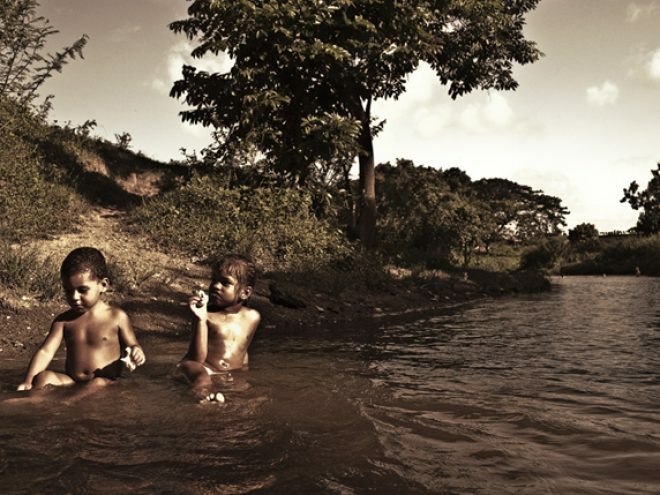 The children of Lugareño enjoy the freedom of living in a place where they can feel the grass beneath their feet, go horseback riding or swim in the river. In summer, there is no need to go very far to take a dip—the river is nearby and within easy reach of the town people. Walking through the town, it seems like one has gone back in time, to an age where pollution and noise were still not an issue.